This ceilidh band was originally formed in 1992 and developed over the years playing Celtic music - mainly Irish and Scottish - for ceilidhs and barn dances at all sorts of parties and wedding receptions.The band's strength lies in its flexibility ,playing a mix of jigs,reels,marches,polkas,waltzes etc - plus vocals and songs from the folk tradition. 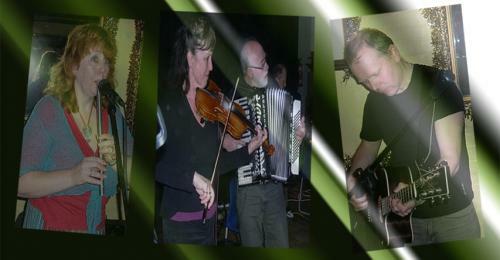 Bournemouth/Dorset based Celtic band, specialising in traditional Irish music, ceilidhs and general good craic! With a good selection of traditional and contemporary Irish and Scottish music - tunes to dance to and songs to sing along with. If you don't know the dances,their caller will teach you. If you don't know the songs, just tap your feet and clap your hands!